Having a fulltime job doesn’t allow much time for anything else. Everything from family times and personal pleasures are moved in the back of people’s mind. Sometimes, they’re completely forgotten. That doesn’t always have to be the case. There are many tricks that will not disrupt professional productivity but, still let people stay in their best shape. Exercising is not always fun but, it’s necessary. When the day starts, people have tons of other activities to do. There are children to get ready and drive to school, countless meetings and phones calls, and many other life problems that will get in the way. That is why it’s important to start early. Waking up an extra hour or simply half an hour early can do wonders for someone’s health. Even ten minutes is plenty of time for a quick run or a short yoga session. It’s not always about long intense workouts. Any exercises will help the body. Doing it early in the morning will provide more energy and a better mood for the rest of the day. It doesn’t matter what the job is, there’s always at least a small opportunity to move. If in a phone call, there are quick five minutes workout videos online that anyone can follow. It can be as small as stretching the arms every five minutes. It might be helpful to walk around the office as often as possible. Some exercises can be done while sitting. Nothing is impossible. Office workouts may require more imagination than working out at the gym. It must be done in a non disruptive manner. It should not be too distracting so it won’t get in the way of productivity. Depending on their jobs, most people can manage to eat lunch while working. So, it may be more productive to do something else instead of waiting in line for food or sitting down for the entire break. Time management is a must to be able to fit exercise for lunch since it would require not having to go purchase food. It may be a good idea to pack lunch from home or to purchase it while coming in. That way the lunch break can be a time for exercising. It can be any type of exercises anywhere near the office. It mainly matters that this time is not wasted on trivial activities that can be fit in at other times. 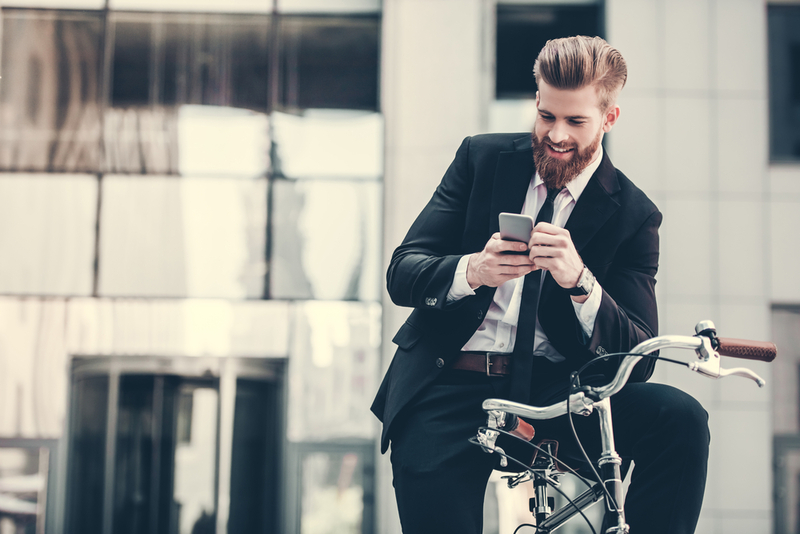 Commuting to work doesn’t have to be time wasted in traffic. Use it wisely. It can be a good time to catch up on a bit of exercising. Depending on the distance between work and the house, some people can walk or use a bike. Both can save time in the long run. There would be no traffics nor parking to think about. It won’t necessarily take longer than driving considering how bad the traffic is in the morning. All that time spent getting frustrated can be used to get fit. It’s economical since it’s less money spent on gas. One more bike on the road is one less car emitting CO2 in the atmosphere so, it’s also good for the environment. It’s a win for everybody and everything. Kids have a lot of energy to let loose. They’re always up for jumping and moving around in any way they can. It may be helpful to let their energy slip over once in a while. Fun activities don’t even feel like exercises. Playing a soccer or volleyball game for thirty minutes burn a lot of calories. It can be simply dancing around the house or rearranging the furnitures together. As long as it’s fun and cashes in some movements. The kids won’t mind. They might encourage it since it would be things they love. It will bring everyone closer and healthier. There’s nothing better than family times for the growth of children so, think of it as helping the kids to become better and happier people. 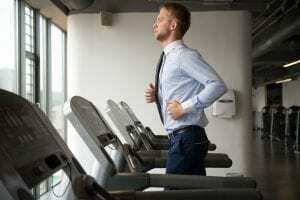 Some offices come with their own gyms with no cost or lower cost for the employees. If it’s free, it’s probably already included in the employee packet. Nothing is being lost by using it. It will even safe time since there’s no need to drive anywhere else. In fact, a good tip is to come with the workout clothes daily or leave them in a locker. This way there’s no time being wasted and everything is finished faster. Even if the workplace doesn’t come with their personal gym, there might be some really close by. Get to know them and what they offer. They may have discounts for people working or living in the area. This way there’s a guaranteed place for the workouts during lunch hour. Take fun classes in the weekends or during day offs. A day off from work doesn’t mean it has to be a lazy day. That’s the time to work on personal goals and growth. A healthy lifestyle should be one of those goals. The gym doesn’t have to be the only destination, though. There are plenty of fun classes out there catered for adults. Dancing lessons, martial arts, or swimming lessons are all fun activities that help to lose some of those calories. They give people the motivation they need to stay active without feeling like they’re exhausting themselves. Even dancing at the club can be a good way to stay in shape. Just skip the alcohol. Arrange a night out with friends and spend it on the dance floor. Everything’s better with support. Work out alone can be depressing and people get tired quicker. With friends, they can arrange friendly competitions. They will get more out of that one hour than if they went alone. Workout buddies give plenty of motivations. They keep each other in check when they’re slacking off. It’s a good idea to find friends who are willing to live a healthy life as well. Friends who slack off often or prefer to avoid any type of exercising can prove to do more harm than good. It’s not always easy to lead a healthy lifestyle but, it’s not impossible either. There are plenty of opportunities to burn calories throughout the day. People simply have to be more vigilant and creative to catch them. It’s not all about six days at the gym and heavy workouts for hours in one day. If done often enough, the simplest movement can be helpful.